Syphilis is a spirochete disease that occurs due to Treponema pallidum infection. It can be sexually transmitted and can be transmitted from mother to baby vertically. 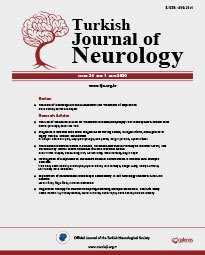 Neurological involvement is more common in the late period. The use of common antibiotics may alter the natural course of the disease. Because of this, syphilis may present with different neurological findings. A 49-year-old male patient was admitted to our clinic with complaints of fluctuating double vision and droopy left eyelid for two months. In the neurological examination, pupils were mid-dilated, direct and indirect pupillary light reflexes were bilaterally absent, movements of the left eye in all directions and rightward movement of the right eye were restricted. Also, bilateral ptosis was detected. Brain magnetic resonance imaging and electrophysiological studies including repetitive stimulation were normal. Syphilis was diagnosed with blood and cerebrospinal fluid (CSF) tests. He was treated with long-term high-dose intravenous penicillin. Ocular findings are an important indicator of neurosyphilis. Ocular involvement due to primary disease process is rare. If meningitis-related CSF absorption defect develops, eye movement disorders and pupil abnormalities may occur. The diagnosis of neurosyphilis may be delayed due to different clinical manifestations. Neurosyphilis should be considered in case of ocular findings.